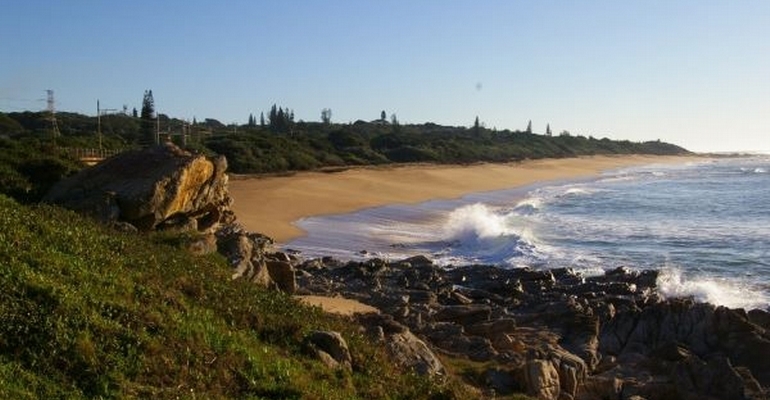 A Paradise Found, located in South Port (South Coast), is a stunning, spacious house & cottage which sleeps 8-10 adults, with additional bunk beds for 4 children. 5 bedrooms & 4 bathrooms (two en-suite). Close proximity to the dog-friendly beach (120 meters away), a large patio, TV with dual-LNB dish (bring own DSTV), breaker views. Fully equipped kitchen, braai, laundry with washing machine, tumble dryer. Secure parking for 4 cars. Close proximity to beach (120m). Main swimming area is a 15min walk down the beach. Minimum 2 nights stay, all periods. Stay 4 nights get 10% discount, stay 7 nights get 15% discount. A 30% deposit is required to secure a booking. The balance and a refundable breakage deposit of R1000, are payable 30 days prior to arrival. Provisional bookings awaiting deposit payment are only valid for 7 days from transmission of the bank details / booking contract. A fee of R150 will be deducted from the breakage deposit as we have to pay extra for our agent to hand over keys / turn on lights for late arrivals.